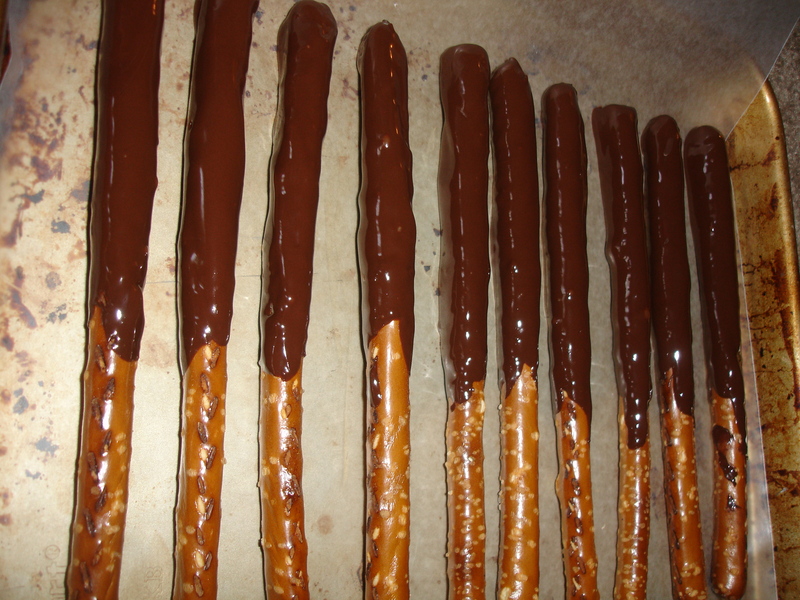 Today I am going to teach you how to make chocolate covered pretzels. I used these at my Pirate party, as Peg legs. 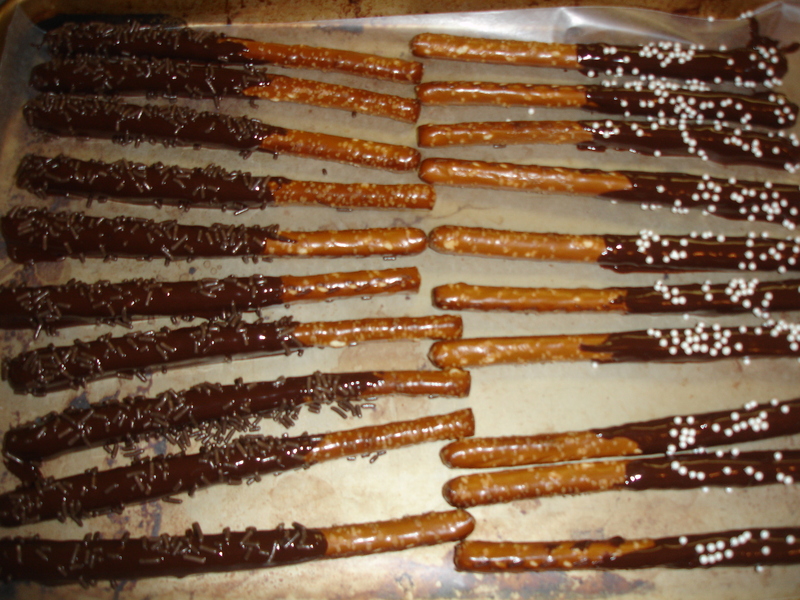 Items you will need are a bag of long large straight pretzels, a bag of chocolate (I used semi sweet chocolate chips) and sprinkles or nuts. 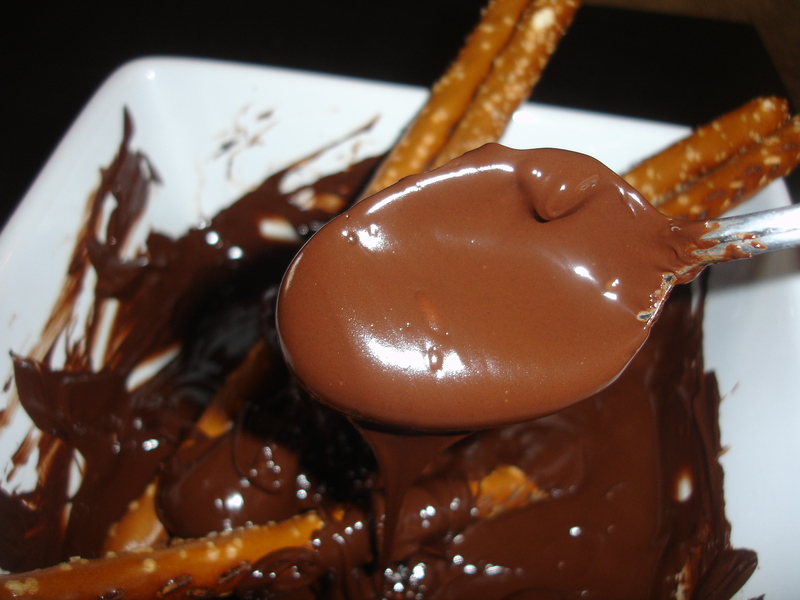 Melt your chocolate it a microwave safe container. Start off with a minute and then 15 second increments until it is totally melted. Be careful not to heat to long, chocolate can burn easily. 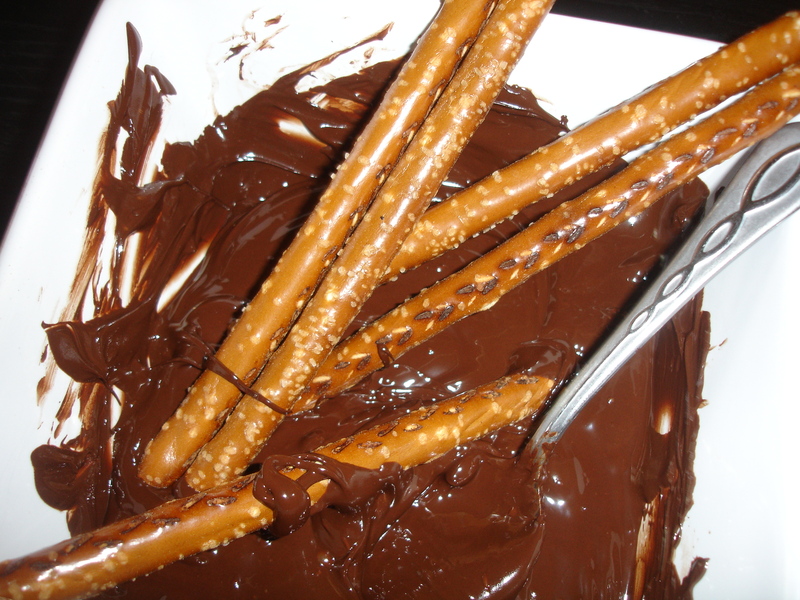 Using a spoon I would take a couple pretzels at a time and spoon melted chocolate 2/3rd’s of the way up the pretzel. 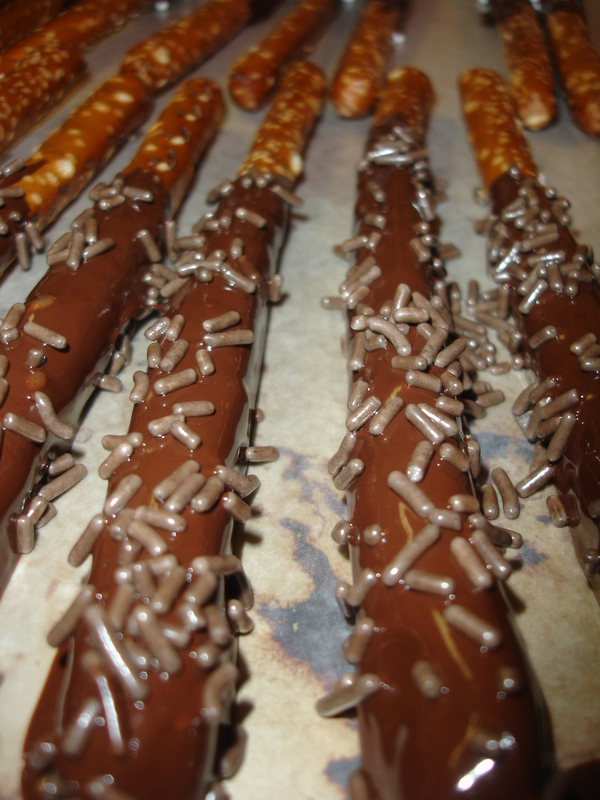 Then I would tap the pretzel in the bowl to remove excess chocolate. 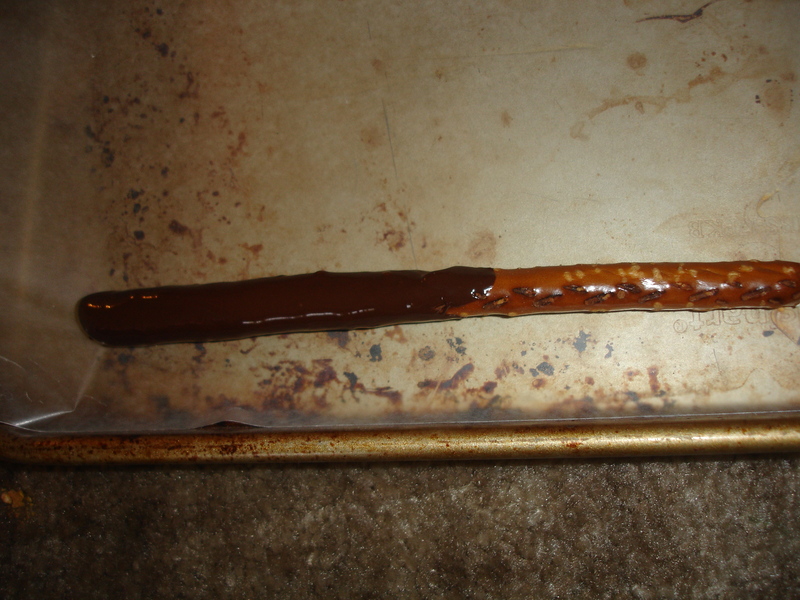 Now take a sheet of waxed paper and lay on the bottom of a cookie sheet. 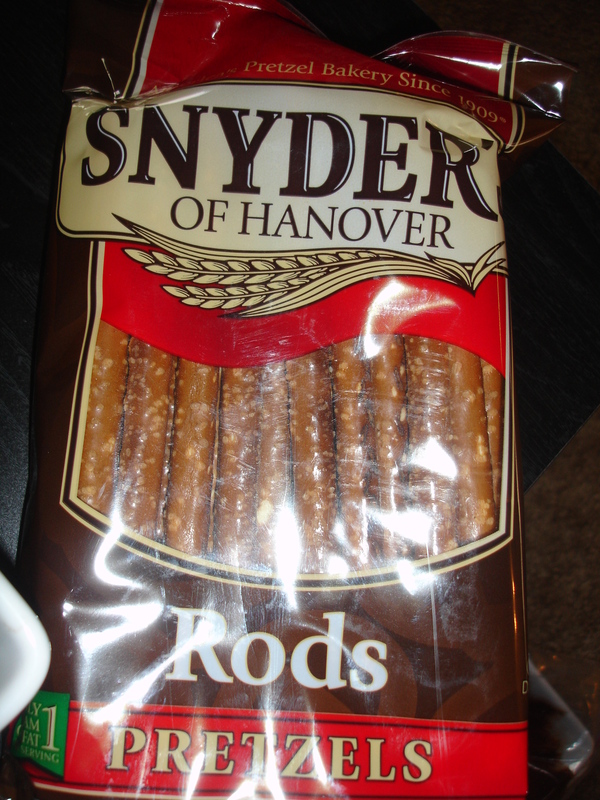 Once you finish adding chocolate onto your pretzel lay on top of waxed paper. 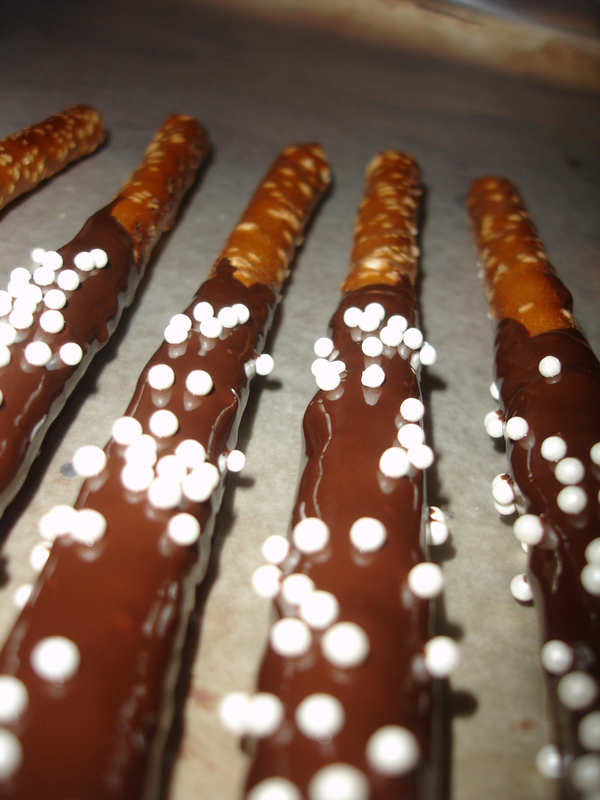 Add sprinkles, nuts or swirl a different color chocolate onto the chocolate dipped part of pretzel. Continue until you have a complete row on waxed paper.